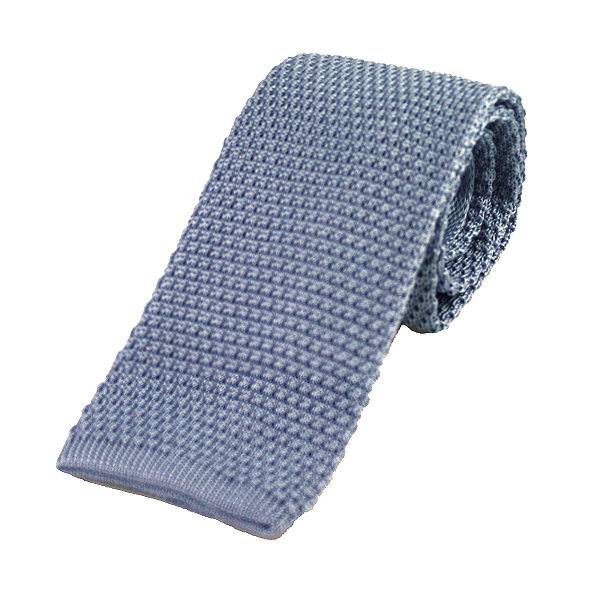 A classic plain silver blue silk knitted tie with a neat square end. This beautiful tie has just a slight sheen making it look a very classy men's accessory. Plain Knitted Navy Silk Square End Necktie. A modern yet classic men's accessory.